Credit monitoring services are growing with the amped up efforts of some hackers who are hellbent on stealing identities, credit card numbers and other sensitive information. Since it takes more than a year, on average (U.S. Federal Trade Commission), for consumers to realize they’ve been victimized, it would appear these services are strong tools for preventing identity theft and in those instances where a person’s identity has already been compromised, these services can help catch the activity much sooner. A credit monitoring service tracks your credit report and any activities that pop up at one or more of the three major credit bureaus. It then notifies you via text message, email or a phone call so that you can take measures right away if there is indeed fraud. Equifax, for its part, says it’s the only way to keep “eyes” – even digital eyes – on the activity around the clock. These services are great for spotting certain problems right away, such as if someone opens a new credit account in your name using your stolen information. These days, there are broader identity monitoring services that include not only credit monitoring, but other features, such as monitoring of public records, databases and websites for use of your personal information. While these services are designed to work quietly in the background, you need to know that charging $50 at a restaurant two states away might trigger an alert. The services have no way of knowing you’re traveling on business and treats anything that’s out of a specific scope of buying habits will activate the alert process. Also, the monthly subscription fees might not be an option for some consumers who are closely watching their budgets. Add to this the fact that some consumer advocates don’t agree on whether credit monitoring, usually between $10 to $15 each month, is worth the money. On the other hand, there are those who say the extra protection is the best sleep aid as they don’t worry about identity theft or other fraud. Remember, though, the more inclusive your credit monitoring services are, the better. New services include real estate transactions, hunting or fishing licenses or even legal cases. Anything that includes a social security number is included in some of those more costly services. There are consumers who are doing a fine job of monitoring their credit reports wit an annual free credit report, keeping a close eye on their spending habits and really incorporating their credit card companies’ monitoring services. None of this costs money and it’s as reliable – provided consumers remain vigilant – as the subscription services. If you do spot trouble, you can work with the three credit bureaus – Experian, Equifax and Transunion. They can place a freeze or hold on all of your accounts until you can figure out what’s going on. There might be a fee, though, so check with each agency so you know what it’s going to cost. 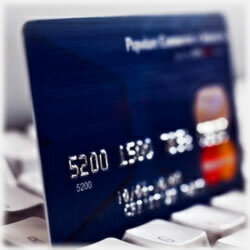 Credit monitoring services are most often through your credit union or bank. Be sure you carefully review what each service offers, the costs associated with it and any additional fees you might face is fraud is discovered. Also, be sure to confirm a company covers all the credit bureaus. Finally, if a credit monitoring service is making promises that don’t seem realistic, odds are, it’s not. The services may also provide a false sense of security since there can be holes in coverage.. a service may only check in with one of three credit bureaus, for example, or fail to report activity in dormant accounts. These are important points to keep in mind as you move through your decision process. Finally, steer clear of identity theft “insurance” which companies sell with the promise of cleaning up any identity fraud or theft. The policies are rarely all inclusive and often have loopholes that make them not worth the price. The fact is, no matter how thorough any service is, to guarantee a customer will never become a victim is an impossible mindset – and one consumers shouldn’t buy into. One great resource to check the claims of a company is through your Better Business Bureau. This is always the first best option for any product or service.